Now we will have an automatic diesel SUV in the Indian car market if the reports coming from the Tata Motors are true. 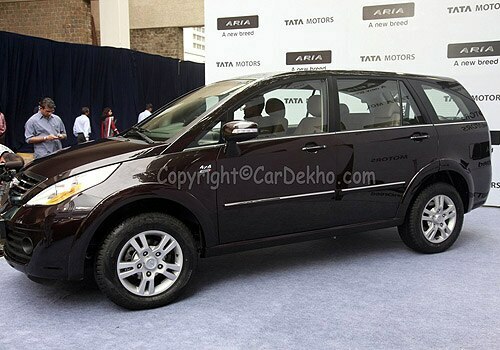 Just when Mahindra and Mahindra are clocking high sales number with its latest XUV 500, Tata Motors came up with their answer to this model, Tata Aria Automatic. Experts are stating that this strategic move by Tata Motors of coming up with Tata Aria AT is going to definitely appeal to the potential customers who are looking for an Automatic diesel car in the market. Even this time around they have corrected the pricing for the model so now instead of the high cost of Aria which earlier posed to be the major hurdle the price of the model is fixed at Rs 9.99 lakh. For those who are mistaken to take the Tata Aria, as a luxurious car due to the modifications made to model may be surprised. Tata Aria under the hood is powered by the DICOR motor with 2.2 litres capacity that can pull up an SUV like performance with power and torque figures of 156 PS and 400Nm respectively. 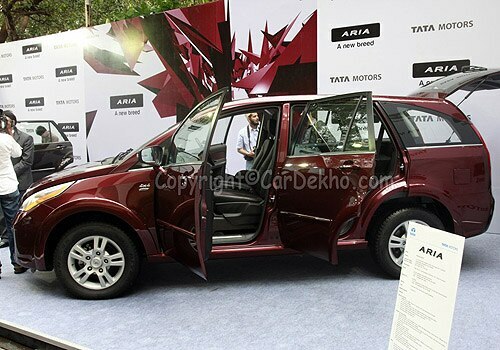 Tata Aria Automatic model not only has a automatic transmission but it also sports a new design of the Aria with new roof top unifying the swept back makeup of the cabin. The rear end of the model also bears a different look with the redone spoiler, on the front side we have embedded headlights which are as magnificent as the tail lights. Besides the roof even the internal design has been considerably redone to give a royal feel to this automatic vehicle. The upholstery done in Sandstone Beige and Rosewood Red along with a wooden dashboard looks impressive. The stylish premium quality leather seats with excellent stitching designs further add to the luxury and comfort of the car.